Congratulations. If you’re researching how to warm up your IP address, your business is probably growing. Or maybe you’ve decided to invest in a major upgrade for your email program. Either way, you’re stepping up your game. As you probably know already, IP addresses identify different computer servers around the world. You can identify an IP address by its four different numbers separated by three periods. It’s a pattern like this: aaa.bbb.ccc.ddd. For example, 101.232.079.147 is an IP address. Each number in an IP address can go from zero to 255. While there are a limited number of IP addresses available, there are still plenty to be had. Almost any email service provider or web host has several “blocks” of unused IP addresses waiting for new customers. Don’t let anybody tell you they’re in short supply, and you have to grab one while you still can. 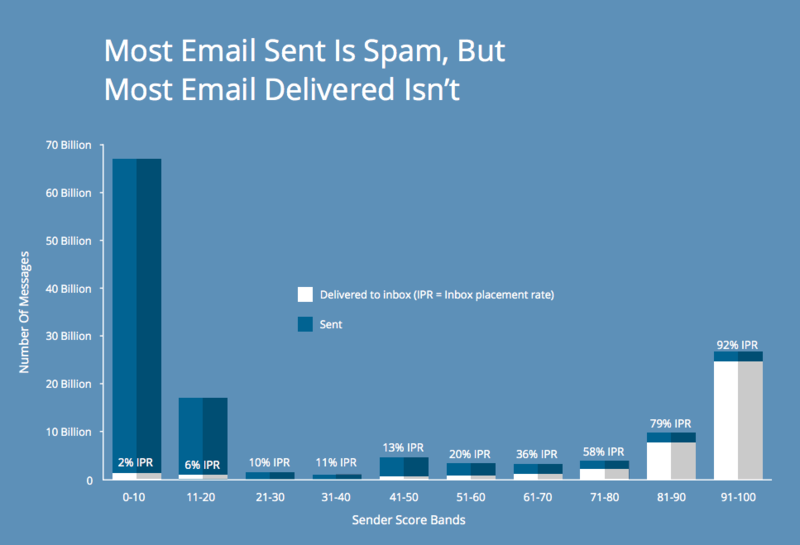 Sender Score makes or breaks your inbox placement rate. But it all starts with the reputation of the IP address you’re sending from. This link between IP addresses, sender reputation and improved inbox placement rates is the #1 reason why people leave a shared IP address for a dedicated one, or decide to move to a new IP address at all. On a shared IP address, you can only be as good as the least trusted sender. Fortunately, if you’re with a good email service provider, even the least trusted sender is going to be pretty darn good. We’ll talk more about shared IP addresses in a moment. 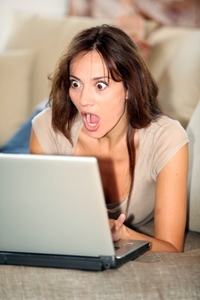 There’s good news about warming up an IP address. You’ve got an excellent opportunity to refresh your sender reputation with the ISPs (Internet Service Providers) and other mailbox providers. With your new IP address, you’ve got a clean slate to work with. Unfortunately, that’s the bad news, too. The clean slate means the ISPs won’t know you anymore. They can’t tell the difference between you and a spammer until you’ve built up a little history on the new IP address. Fortunately, it doesn’t have to take long to create some history on this new, “cold” address. Two weeks to a month is usually enough. Some senders benefit from stretching their warm up periods out to two months, but that’s not usually required. The other good news is that it’s easy to not act like a spammer. The ISPs will even start sending you warning messages if you veer off course. That way you can correct your warm up practices before any serious harm is done. You should also know that your sender reputation is a moving target – it’s calculated over a 30-day period. So while you certainly don’t want to suppress deliverability rates over even a short period, none of what you’re doing here is carved in stone. Before we dive into the specifics of how to warm up an IP address, let’s get some of you off the hook. If you’re on a shared IP address. In that case, all the people you share the IP address with have already done an ample job of keeping the IP address warm for you. 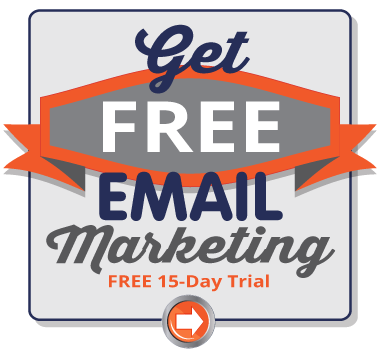 If you’re sending less than 50,000-100,000 emails a month. With that low a volume of send, your email volume is so low that the ISPs won’t notice your email volumes. In other words, your campaigns are small enough to fly under the radar of the ISPs. If your sending <100k / mo – a dedicated IP is probably not a net benefit unless your regular traffic is 5-7 days/week. If you have been emailing from this IP address before, particularly within the last month. It’s not necessary to warm up your IP every time you send a campaign, provided you mail more than once a month. So how do you warm up an IP address? In a word, gradually. You want to start out sending low volumes of emails to your list. Then slowly ramp up to your typical sending levels. This gives the ISP a chance to recognize and identify your typical mailing patterns. Hopefully, they will like what they see, so as they evaluate you as a “new” (in their eyes) sender, they’ll let all your emails through. It is important to note that it's imperative to send at a regular frequency during warm up. Sending 50k in 1 send in the first week is not the same as sending 10k/day for 5 days. So how do ISPs evaluate your emails? They’re looking for spikes in send volume, but even more for how your subscribers respond to your emails. They want to see evidence of your sending relevant, valued information to engaged subscribers. So actions like clicks, forwards, and saving your emails to permanent folders would all be splendid things. They’re the sort of actions that lead ISPs to trust you. Because how your subscribers react to your emails during the warming process is so critical, some sources recommend mailing only to your most active subscribers in the first phases of warming up your IP address. The ISPs are particularly looking for evidence that you’re not a spammer. Unfortunately, many spammers swap IP addresses regularly to try and trick the ISPs. For a spammer, having no reputation at all is better than their usual reputation. For a good sender like yourself, this is why email service providers do not recommend having more IP address than you need. That said, sources like SendGrid often recommend two IP addresses: One for transactional emails and one for promotional emails. This is because transactional emails tend to be favored by ISPs. And, from your perspective, transactional emails are more mission critical than promotions. You certainly don’t want to lose sales from missed promotional emails, but it’s even more important for customers to get their order confirmations and shipping details. For an example of what’s happening on the ISPs’ side of things while you’re ramping up, consider Hotmail and Yahoo. Each of them has a daily sending allowance for all mailers. Exceed it, and they will block the excess emails. But as they come to trust the IP address, they will loosen the sending restriction bit by bit. Your warm up period and mail volume have to work within those limitations. Fortunately, as mentioned before, both Hotmail and Yahoo will send back 400 failure notices when your messages don’t get through. Just watch for those 400 errors. Adjust your warm up volumes to those particular ISPs accordingly. Also be sure that you’re sending consistent mail volumes to each ISP. This is critical. If you just lump all your email recipients together and send them en masse, even if they’re a segment of your list, it’s possible you could be, say, sending 5 emails to Yahoo addresses one day, then 500 emails to Yahoo addresses the next. That will get your shiny new IP address flagged, and you might start seeing a lot of 400 errors come back all of a sudden. There’s no better time to have good analytics in place than during the weeks you’re warming up a new IP address. Comb over your reports on a daily basis, checking your deliverability rates and inbox placement by ISP, campaign, days and times. Look for signs of “throttling”, also known as “deferral” rate. It’s when an ISP or mailbox provider blocks your emails. Note that this is different than a hard bounce. It’s a sure sign the ISPs are refusing to send your messages through. These kinds of issues are almost always accompanied by the 400-type errors messages I’ve mentioned earlier. Because you want the highest engagement rates possible during the warm-up period, sending certain kinds of emails can help. Welcome emails are a good choice, as these get some of the highest engagement rates around. Transaction emails, mentioned earlier, are also good. They get crazy high engagement rates. 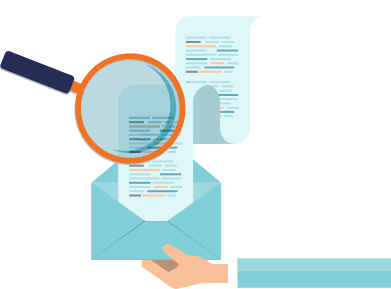 Warm up is actually an ideal time to take a careful look at every aspect of your email program. Hopefully you can make some tweaks here and there to improve your results long-term, not just during the warm up. – Confirm whether you’re on a shared or dedicated IP address (and if so, which specific IP address). – Ask if you need to warm up your new IP address. If your email service provider says not to worry about it, dump them. It’s important to be able to break these out according to ISP, campaign, day of the week and time of day. If you’re every going to want super-detailed analytics data, this is the time. – Which staff member(s) to talk to if you run into a problem. A good email service provider should have excellent customer support – someone you can call the moment you see an issue. This person should be able to offer you solid experience in warming up your new IP. Ideally, they will have some access to deliverability staff at the major ISPs. Your email service provider staffer might not be able just to pick up the phone and fix your problem, but they should serve as your advocate through the process. You’re off the hook. Let the natural growth of your business ramp up your transactional email volume for you. Gradually migrate your email volume from your old IP address (often your old server) over to your new IP address. For example, maybe 10% at a time. If you’re managing multiple servers, move one server over at a time. Send 1/30th of your average monthly email volume out every day for a month. For example, if you typically send about 300,000 emails per month, warm up your IP address by sending 10,000 emails per day for the first week. If you are a high volume sender, mailing, say, half million emails a month, you may want to spread out to a two-month ramp up, just to avoid throttling. Try mailing to your most engaged subscribers first. Send 1/15th of your average monthly email volume out every day for two weeks. For example, if you typically send about 30,000 emails per month, warm up your IP address by sending 2,000 emails per day. If you start getting 400 errors and see other signs of throttling, step back. While two weeks of warm up works for some senders, it doesn’t work for everyone. It’s not worth damaging the reputation of your new IP address just to force a fast warm up. During warm up – and at any time – it’s always wise to do the right thing: Honor your subscribers. So study your analytics data for clues about what your subscribers like. 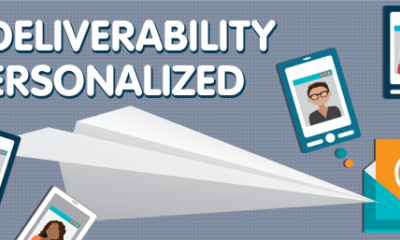 Work with your email service provider to optimize their experience. Keep creating great emails that are relevant and useful. If your subscribers are happy, the ISPs will feel like friends, not the email police. Learn more about how you can get your own IP address from Pinpointe.